Now that you know where to buy your Lemons online...Just one squeeze from one of our juicy lemons can open a whole new world in your kitchen! Everyone knows, a little bit of lemon adds "perfection" to both hot and iced tea, and of course, there's nothing better on a warm day than a tall cool glass of lemonade made from fresh picked California Lemons. But why stop there? Lemons from Pearson Ranch can add both the "zest" and "zing" to your culinary repertoire. Adding a little grated lemon rind, (a.k.a. lemon zest) to simple rice or potato dishes, or even baked goods, adds a delightfully subtle and "bright" flavor. California Lemons too, are a key ingredient to your favorite ethnic dishes. A squeeze or two of lemon added to guacamole or salsa is essential for that special "zip" of flavor. Try some lemon over carne asada tacos for a taste that will put you in a "squeezing frenzy"! Lemon squeezed over Greek gyros, or dolmas, and absolutely over Greek salad is crucial for that perfect taste. Toss a lemon vinaigrette dressing with your favorite pasta, with fresh cracked pepper, for pasta that's sure to be a hit! 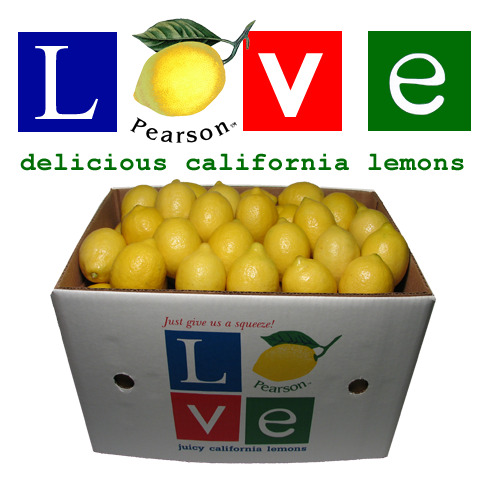 As for the "classic" lemon dishes like; Lemon-Rosemary Chicken, Grilled Salmon with lemon, Lemon Sorbet and the timeless favorite, Lemon Meringue Pie...elevate them to "culinary perfection" with fresh picked lemons from Pearson Ranch. Grown in the bountiful San Joaquin Valley in California, these lemons are the result of careful farming, deep underground well water, and the abundant California sunshine. They are harvested by hand at the peak of their flavor and will hold quite well when stored in a cool and dry location or refrigerated. They are wonderfully fragrant and can add a splash of color to any kitchen. Buy a box and share them with friends and loved ones and let the cooking begin! Like we say around here,"when life hands you lemons...make something fabulous!"